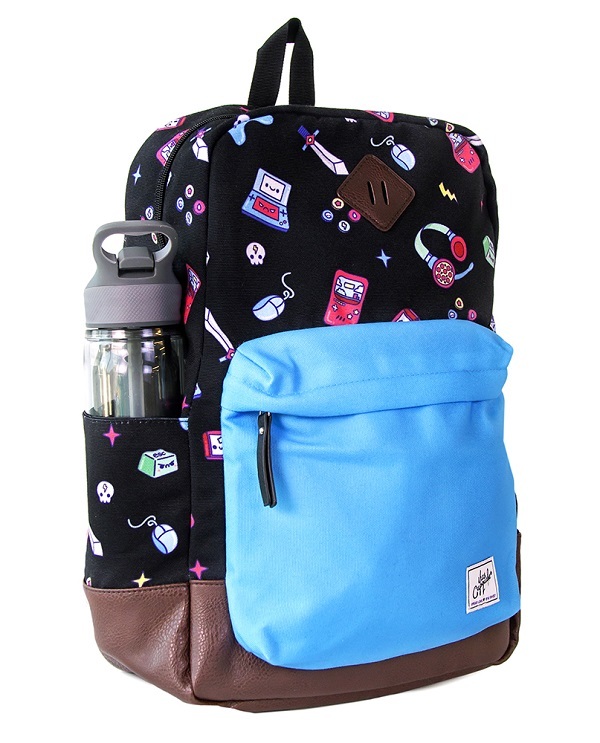 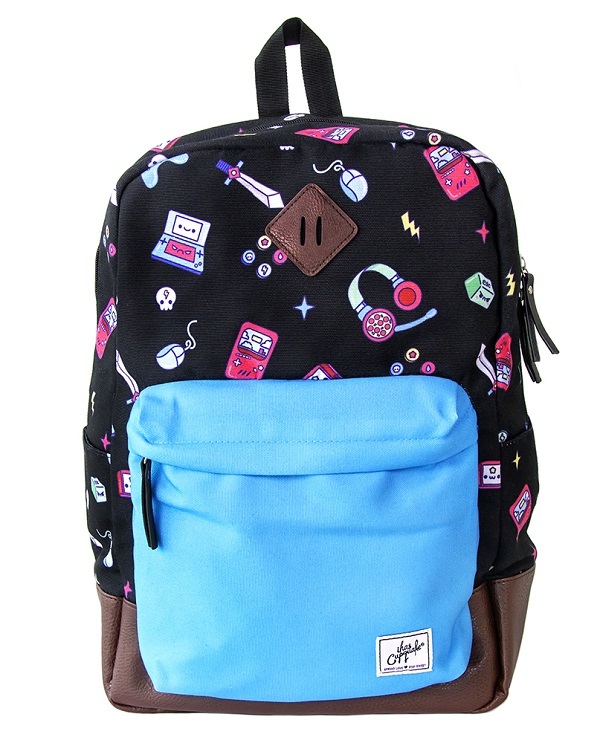 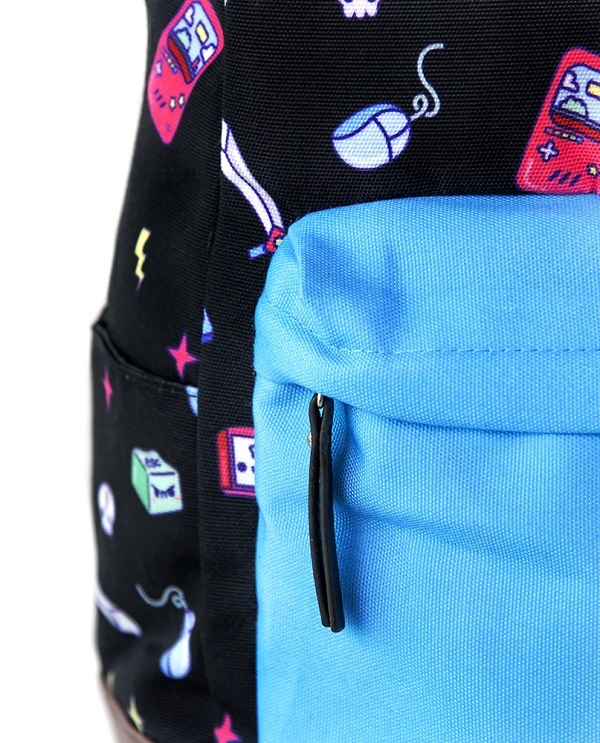 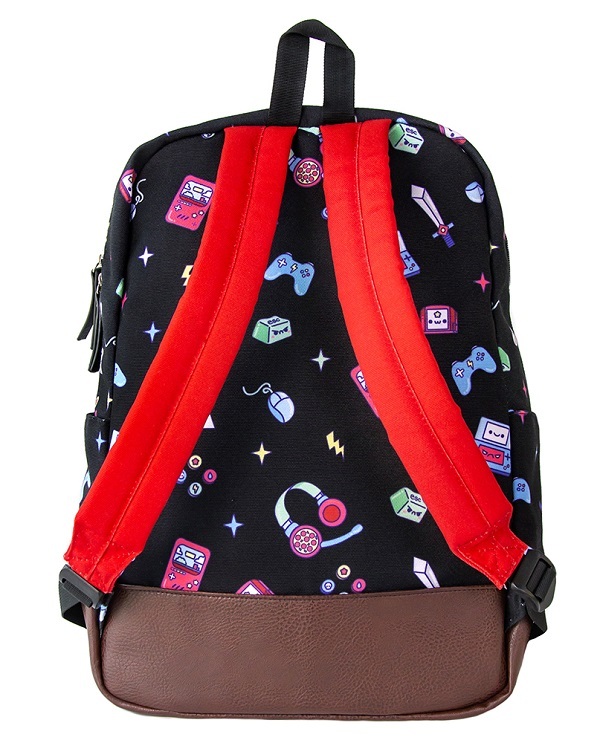 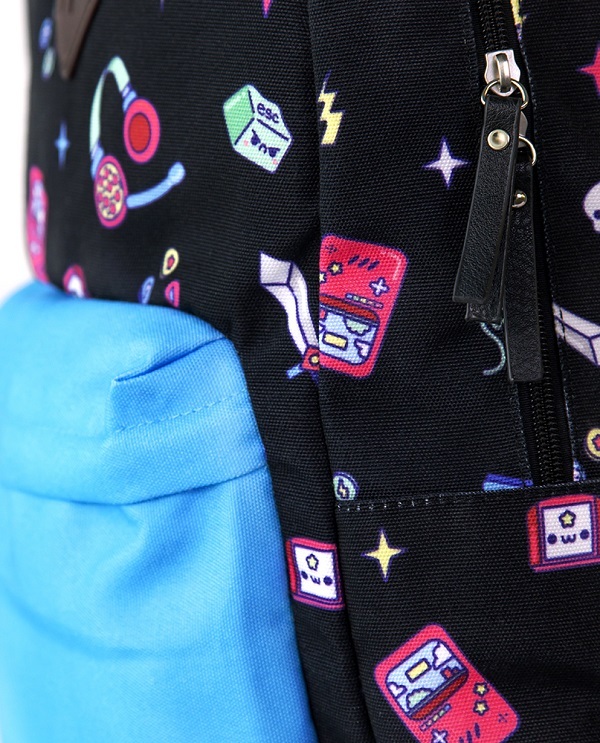 Our latest backpacks are in and they scream kawaii gaming! 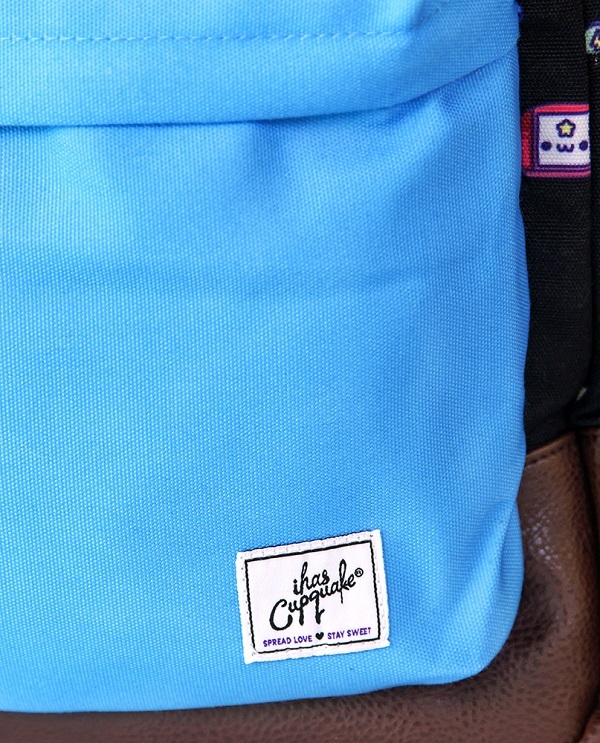 They are equipped with plenty of compartments for all your school needs including a 13 inch laptop pocket! 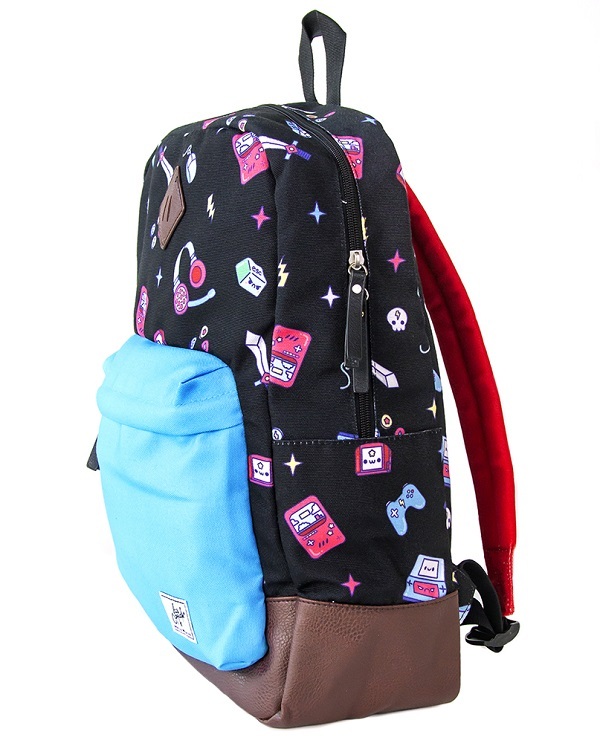 The artwork features a hand full of must-have items for your gaming adventures including pizza headset, handheld consoles, and final boss sword!